A Downley garage has been announced as the ‘Garage of the Year’ – picking up a prestigious title and scooping a £1,000 prize reward. 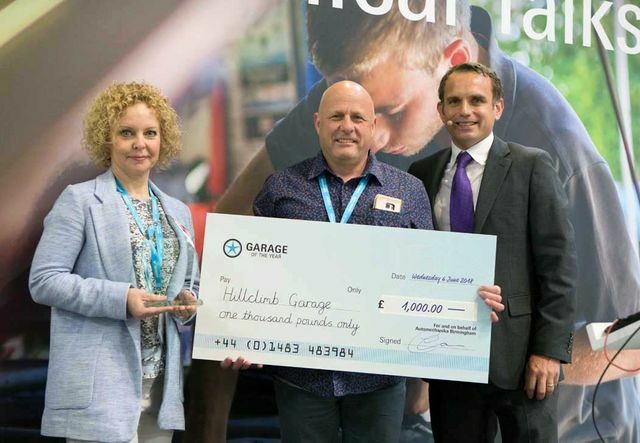 Hillclimb Garage, a family-owned business based in Littleworth Road, fought off competition from five other finalists to win the Best Small Garage of the Year award at Automechanika Birmingham, the UK’s leading exhibition for the automotive aftermarket and vehicle production industry. Hillclimb and the other finalists had been chosen from 38 shortlisted contenders across six categories and were announced at a special evening dinner held in the Director’s Lounge, Aston Villa Football Club on Tuesday, June 5.